Suspenders were used to hold up pants. They were designed specifically so that they would hold trousers up elegantly, without causing any bunching or tightness around the waistline. Suspenders can be worn with pretty much any kind of trousers. These button-end suspenders have a dressy look and would pair well with many styles. The high end construction make it a better quality item and give it a classy appeal. The adjusters are belt buckles that can be adjusted from 35-50 inches long. 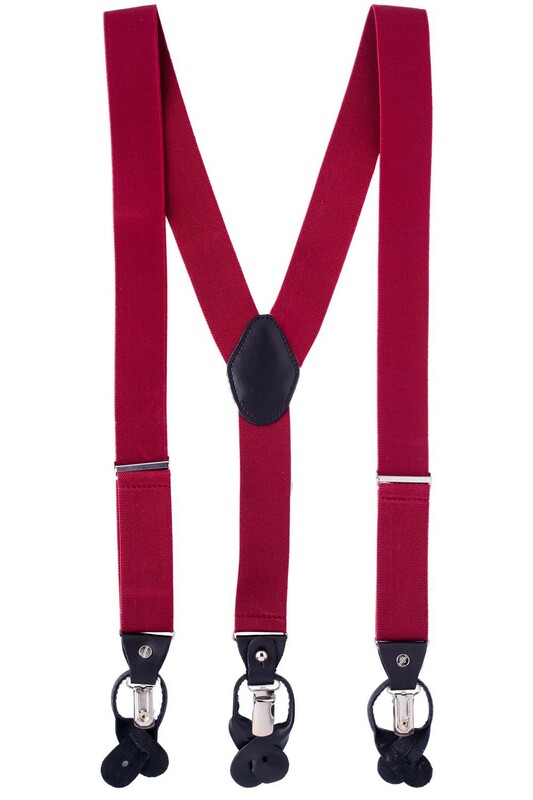 These suspenders also come with 6 buttons to be sewn into your pants to attach to the button-ends.